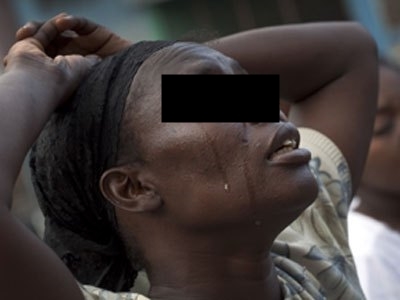 A woman in Ikorodu area of Lagos state has begged a court to end her marriage because of her husband's infidelity. A housewife, Mrs Kadijat Akande, on Thursday prayed an Ikorodu Customary Court, Lagos to dissolve her six-year-old marriage with Sulaimon, over alleged extra-marital affairs. Kadijat, 33, told the court that due to her husband’s irresponsibility, she had to pack out of her matrimonial home. “My lord, there is no more love in our marriage, I want a divorce. “My husband engages in extramarital affairs. “My husband is a wayward man, who has refused to look for a job. “When we started, things were moving great but after a while, things turned sour. He has stopped providing for me and the children. “I want the court to give me custody of our two children because my husband is not a responsible man,’’ she pleaded. Sulaimon, a herbalist, told the court that he was not against the divorce. “I also want the court to dissolve our marriage,’’ he said. The President of the court, Mr Otun Olayiwola, adjourned the case until January 17, for judgment.